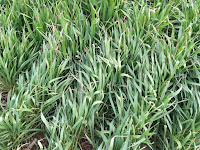 Grain Crops Update: OPTIONS FOR FREEZE DAMAGED WHEAT: WHICH WILL BE MOST PROFITABLE? However, given the current profitability advantage of full-season soybeans over corn for the 2017 crop, the decision this year would mainly be keeping the wheat or terminating the crop and planting full-season soybeans (keeping the rotation). The best option will depend on the extent of the damage to the wheat crop and the relative productivity potential and price levels for wheat and soybeans. Note that if you have forwarded-contracted a portion of your wheat crop your options will be limited by your forward contract obligations. Producers who have forward-contracted should contact the elevator to understand their options. soil productivity levels used. Note that there are three primary productivity levels (one each for corn and full-season soybeans) and two wheat yield levels for each corn and soybean productivity level. This gives six productivity scenarios. Note that the corn yield levels are shown for illustrative purposes only as many farmers think of general soil productivity relative to corn yields. They are not used in the analysis as the comparison is between wheat + double-crop soybeans and full-season soybeans. The estimated wheat yield loss will have the greatest impact on the analysis, and wheat yield losses from 20-50% are used. Obviously, the higher the wheat yield loss, the more likely full-season soybeans would be the more profitable option. This estimate is the most critical portion of the analysis. Consult with your County Extension ANR Agent to help with this estimate. Soybeans double-cropped after wheat harvest will generally experience a yield decline over full- season soybeans due to the shorter growing season. Typically, the yield penalty for soybeans averages around 20% but there is concern that the wheat harvest could be delayed this year due to the damage, resulting in a shortened growing season for the double-cropped soybeans. Overall yield losses for double-crop soybeans from 17.5 to 25% are used in this analysis, allowing the reader to pick the estimate most representative for their situation. Only those costs for wheat/double-crop soybeans that would be in addition to full-season soybeans should be included. Seeding costs for the wheat, previous applications of nitrogen, and previous applications of pesticides are not relevant at this point in time. The additional costs for the wheat crop would likely be herbicides/fungicide sprayings, harvesting, and trucking costs. Total additional costs of $75 for the wheat crop are used in this analysis. If your estimated costs are different, the results can be easily adjusted, as will be explained later. The results are summarized in Tables 2 through 7 based on soil productivity levels. Tables 2 and 3 show 200-bushel corn and 60-bushel soybean (full-season) ground with two different wheat yields, 80 and 90 bushels. These wheat yields are what would normally be expected, and not the final yield after the freeze. The tables show expected wheat losses from the freeze from 20 to 50% compared to the base yield. The tables also show the double-crop soybean yields relative to what you would expect for full-season soybeans ranging from 17.5 to 25%. expected a 30% wheat loss and a 20% yield drop in double-crop soybeans, the table shows $54. The $54 means that you would expect your net return to be $54 higher by keeping the wheat crop compared to terminating the crop and planting full-season soybeans. Positive values indicate an advantage to keeping the wheat crop; negative values indicate an advantage to terminating the wheat crop and planting full-season soybeans. Thus in this scenario, at a 40% wheat yield loss, double-crop soybeans would have to yield 25% less than full-season soybeans before it would make sense to terminate the wheat crop. With a 50% wheat yield loss, all the scenarios favored terminating the wheat crop. Table 3 shows the results for the same scenario except that normal wheat yields are expected to be 90 bu rather than 80 bu. This will reduce the situations where terminating the wheat crop would be warranted. There are only two scenarios at 50% wheat yield loss where this would make sense with the higher wheat productivity. Tables 4 and 5 show the next tier of soil productivity levels: 175 bu. corn, 55 bu. full-season soybeans, and either 70 or 80 bu. wheat. The results pretty much follow those for the previous two tables. There are just a few more scenarios where it would make sense to terminate the wheat crop. Tables 6 and 7 show the lower tier soil productivity level: 150 bu. corn, 48 bu. full-season soybeans, and either 60 or 70 bu. wheat. More scenarios are now starting to favor terminating the wheat crop and planting full-season soybeans. With the 60 bu. normal wheat yield, a 40% wheat yield loss favors full-season soybeans in most situations. With the 70 bu. normal wheat yield, it still takes close to a 50% wheat loss to favor full-season soybeans. This analysis used $75 in additional costs for the combined wheat and double-crop soybeans compared to terminating the crop and planting full-season soybeans. If your expected costs are different from this, the analysis can be easily modified. For example, if your estimates were $25 lower costs, then you would add the $25 to each cell in the summary tables. If your estimates were $25 higher costs, then you would subtract the $25 from each cell in the summary tables. Producers may have the option of harvesting the damaged wheat for silage before planting full-season soybeans. If this silage has a positive net value (value of the silage minus the costs), you would subtract the net value of this silage (on a per acre basis) from the cells in the appropriate table. Aside from the obvious costs to making the silage, be sure to account for additional fertilizer value you would be removing from the silage crop (particularly K). Producers should make certain that any pesticides used in production of the wheat are labeled for feed use. Testing is also highly recommended to make certain that nitrate levels are safe for feed. Producers need to factor in potential crop insurance payments. It is important to understand that insurance payments that affect all options equally should not be included in the analysis. If payments are received regardless of what the producer does, then they will not change the analysis to favor one option over the other. Only payment differences between terminating the wheat or keeping it full-term should be used. First and foremost, producers with wheat that has been potentially damaged should contact their crop insurance agent. Preliminary discussion with some of these agents indicate they may not be as lenient in releasing wheat-damaged crops for other purposes as they were after the wheat freeze of 2007. Find out what your crop insurance options are likely to be taking the wheat to full term as well as terminating the wheat and planting full-season soybeans. Without accounting for crop insurance differences or potential wheat silage value, it appears that wheat stand yields would have to be reduced by at least 30% and more likely 40 to 50% before it would be more profitable to terminate the wheat stand and plant full-season soybeans. 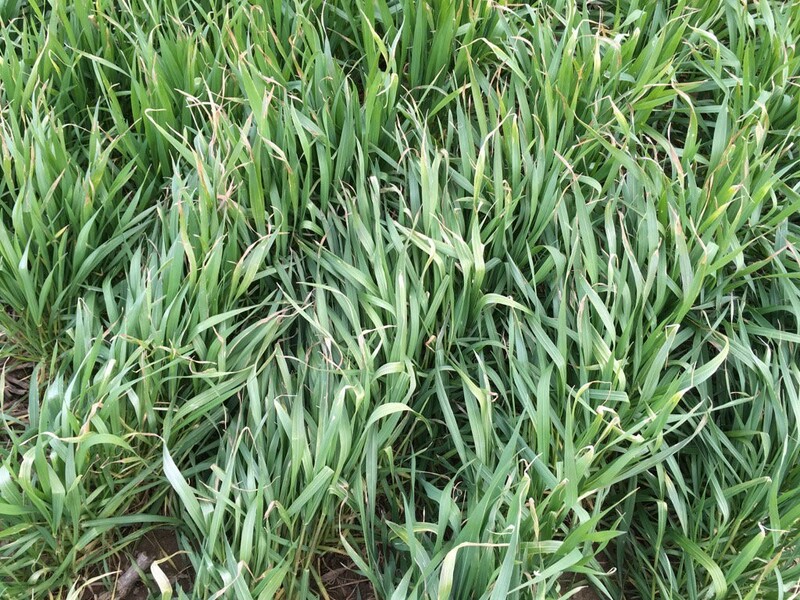 Given these results, producers should be careful before spraying-down wheat stands before they get an accurate assessment of the damage. Wheat stands harvested after the 2007 freeze generally did better than initial predicted. Make sure you contact your crop insurance agent to find out what your options are this year.